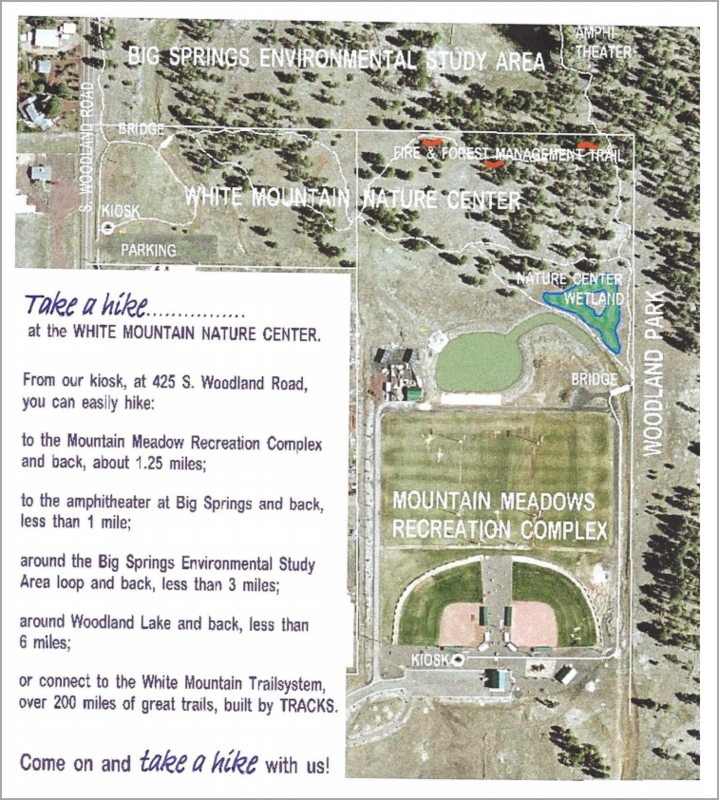 WMNC is located in Woodland Park in the town of Pinetop-Lakeside, AZ. 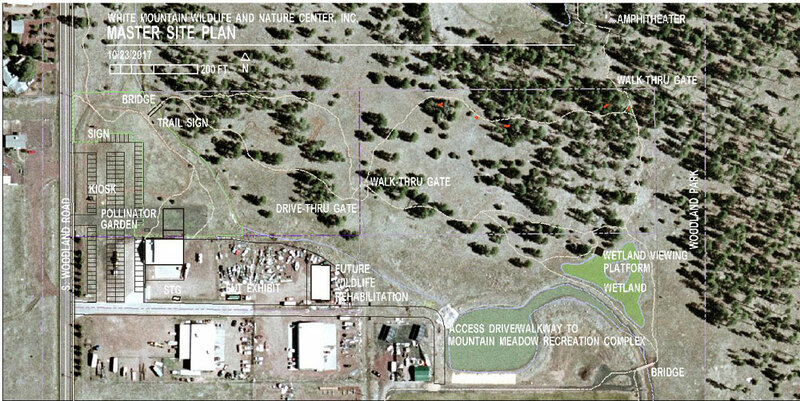 We are currently planning our sustainable-constructed Nature Center complex. Our “green” building plans include classrooms, a Raptor Rehabilitation Center, interpretative areas, and more. The Nature Center is also your gateway to the wonderful 583-acre Woodland Lake Park parcel, the very heart of Pinetop-Lakeside. Trails connect the Nature Center to the neighboring Big Springs Environmental Study Area with its phenomenal spring-fed pond and wetlands. From there, you cross ponderosa pine forest where elk roam, then on to the lush Walnut Creek riparian corridor, and ultimately to Woodland Lake into which osprey plunge to catch trout. While you are at the park, please take some time to discover and enjoy the natural world around you! 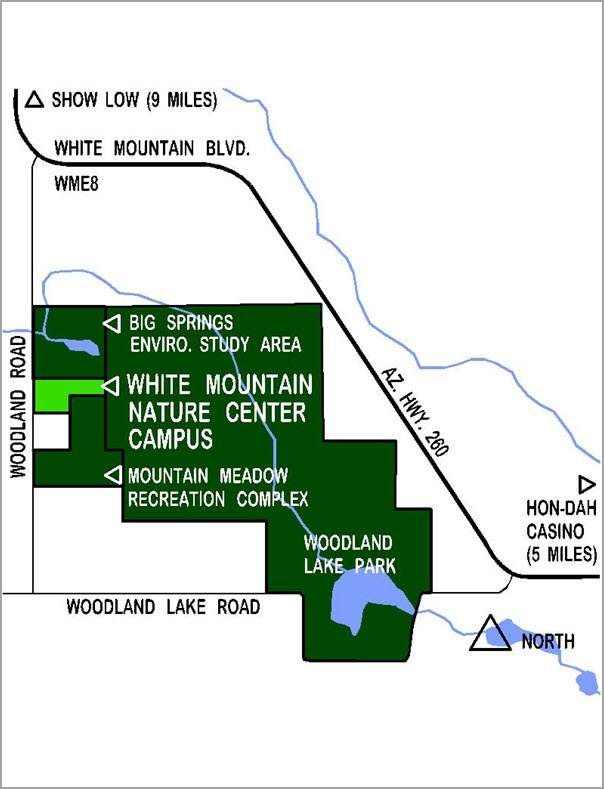 The Nature Center complex is shown below. The current site plan is shown below. The current trail map is shown below. Yes indeed, we have BIG plans for growth at the Nature Center site! In the meantime, nature still abounds and we’re getting on with the business of education and interpretation.